Christmas is just a couple of weeks away (if that) but this is one of those stocking filler type-duos that I just couldn't resist keeping for myself. I feel like I've been missing a little bit of Burt's Bees from my life as this is the first couple of products that I've ever tried from the brand and as an introduction goes it wasn't a bad one. Burt's Bees packaging is very much distinguishable but it's yellow body and red font. This little duo is really well presented and made to look very much like something you want to own/are glad to own straight away. I've been using both products to their fullest and can tell you that they're good. Replenishing Pomegranate Lip Balm Tube This is now my go-to lip balm at work. It's a small stick that twists up easily, hasn't broken on me yet (even after a month of using it almost every single day) and fits into any pocket. I prefer these types of balms when I'm at work purely because my hands get so ridiculously dirty from dusty boxes that I don't especially want to stick my finger in something I'm then going to put near my face. There's no scent to it and there isn't a colour pay-off even though the balm is coloured red. 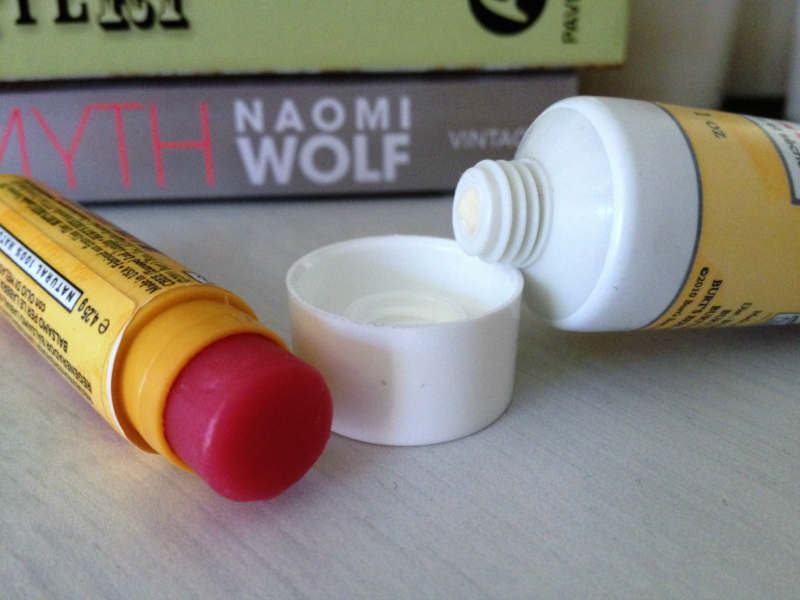 It's simply very hydrating and that's all I want from a lip balm really. Naturally Nourishing Milk and Honey Body Lotion I like this lotion - I think it's a fairly medium consistency and it seems to sink in well although it does leave the skin slightly tacky for a while after application. The scent is a little 'meh' though. It's not the light milk or honey scent that I was expecting - it's more reminiscent of sweet coconut which is not a scent I naturally gravitate towards. Still it's not offensive and if you like coconut scents then you might like this. I don't think it's the kind of lotion very dry skin needs but if you're quite religiously about your body care or have normal skin then I think this would be enough for you. It would definitely be a product I would use in the summer only I'd choose a different scent. All in all I think this is a great little gift or stocking filler. You could even treat yourself to it and it would be good for taking travelling because the products are small enough to carry. 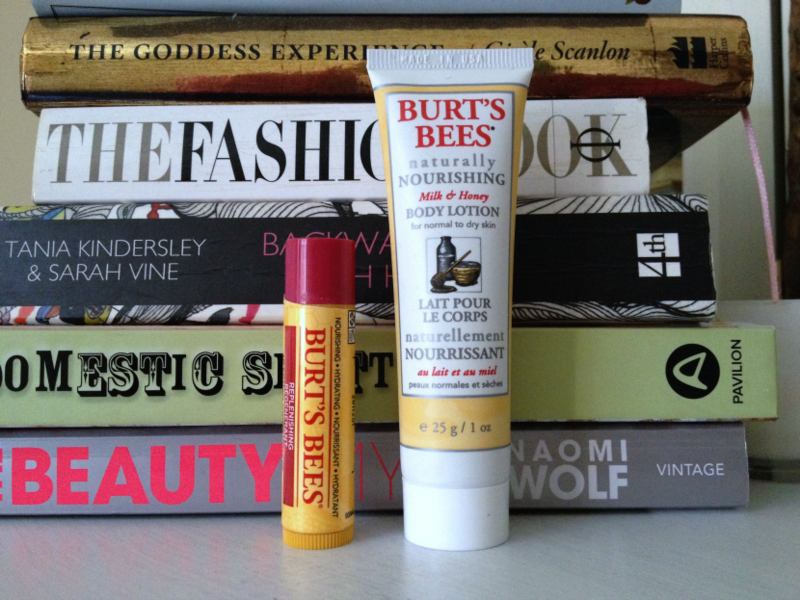 I will definitely be trying more from Burt's Bees and I will think about repurchasing the Replenishing Pomegranate Lip Balm Tube because I feel like that is the stand out product for me out of these two (although I say 'think' because I have a good 10 other lip balms to get through). 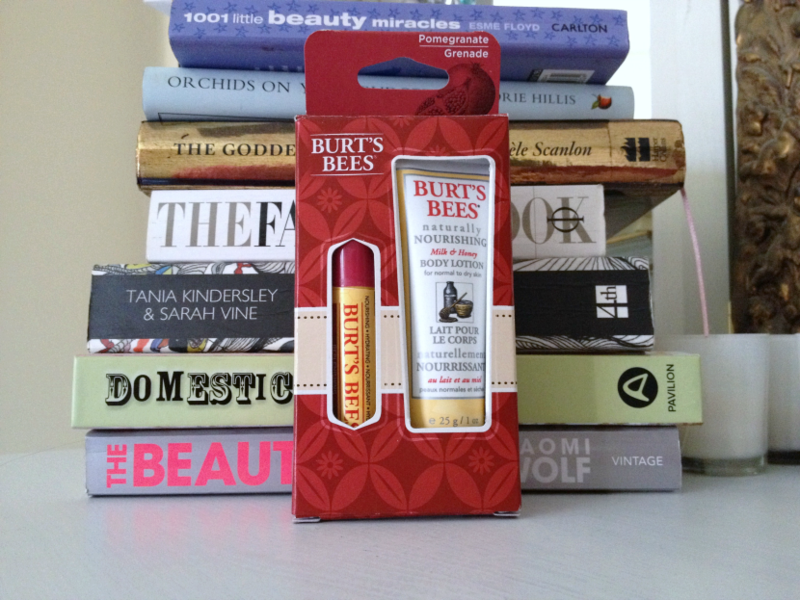 Burt's Bees Honeybee Favourites 'Pomegranate' (RRP £5.99) is available from the Gorgeous Shop website for £4.79. You can find out more information, enter competitions and see more products from Burt's Bees by going to the Burt's Bees website or by following one of their social media platforms: Facebook; Twitter; YouTube. I own that lipblam and i love it, it really helps keep the chappiness away! You should definitely try the lemon butter cuticle creme next, it's divine!